Thank goodness for daffodils! They brighten up my mood on gray winter days. 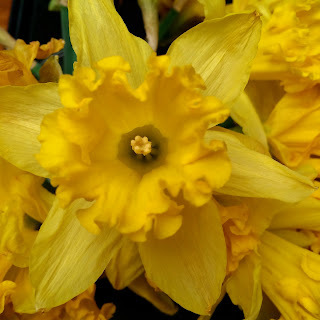 A reminder that spring will eventually be here! I'm cold and everyone in this house is tired about hearing about it. (This is going to be a long winter.) Hot soup helps and this hit the spot. 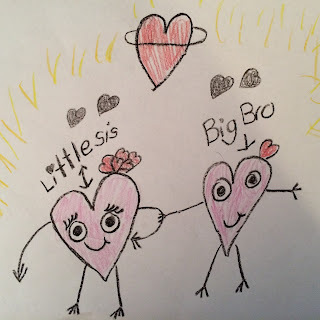 Valentine's Day is near and Vaughn has started making hers for the family. I found this on her desk and the sweetness nearly killed me. I mean, I can't even. EYELASHES, people! 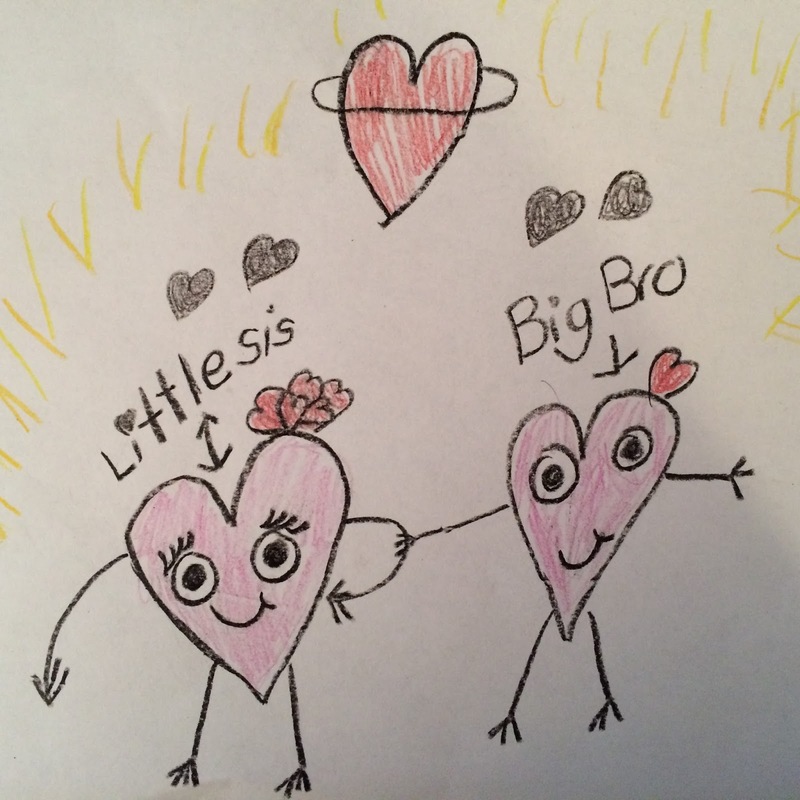 On a heart with sibling labels, interlocked arrow-arms, a haloed heart, and fireworks. Time please stand still! 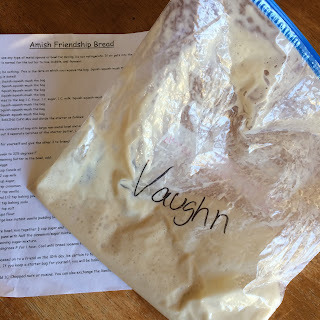 This bag of yeasty stuff showed up this week and I may or may not have given it an eye roll. 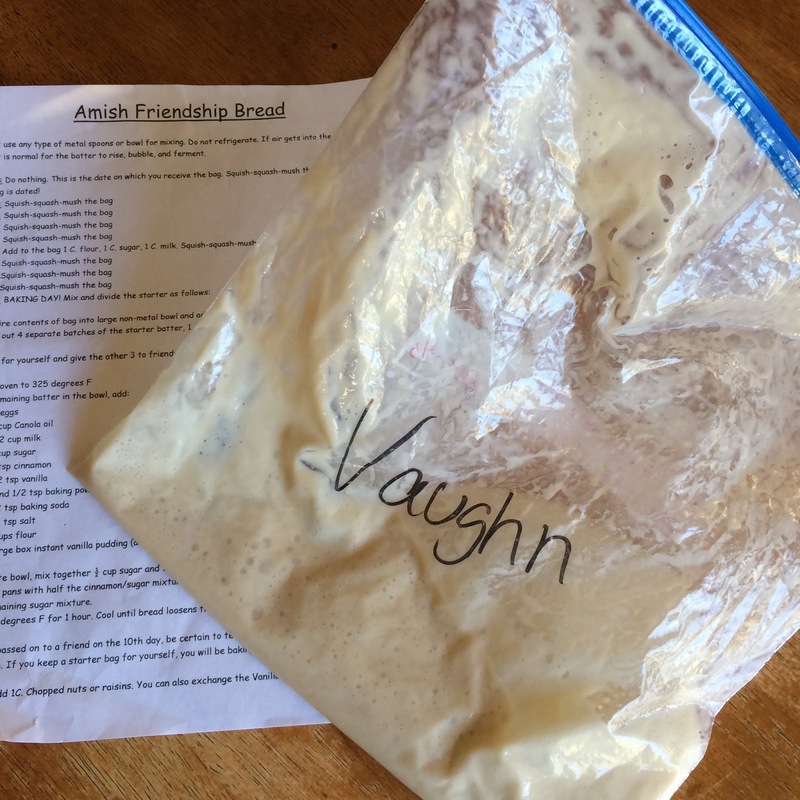 Vaughn, on the other hand, is super excited about the Friendship Bread, and has been following the daily directions explicitly. Soon we'll have starters to share, so watch your back (or your doorstep's!). This weekend is supposed to bring us warmer weather, so I'm excited about that and the fact that Vance's basketball practice just got cancelled for tonight! We all needed a night off! Hope you all have a great weekend too. Cheers! Yasssss! Enjoy your night off and I love Vaughn's valentine! Miss them so much. TGIF!